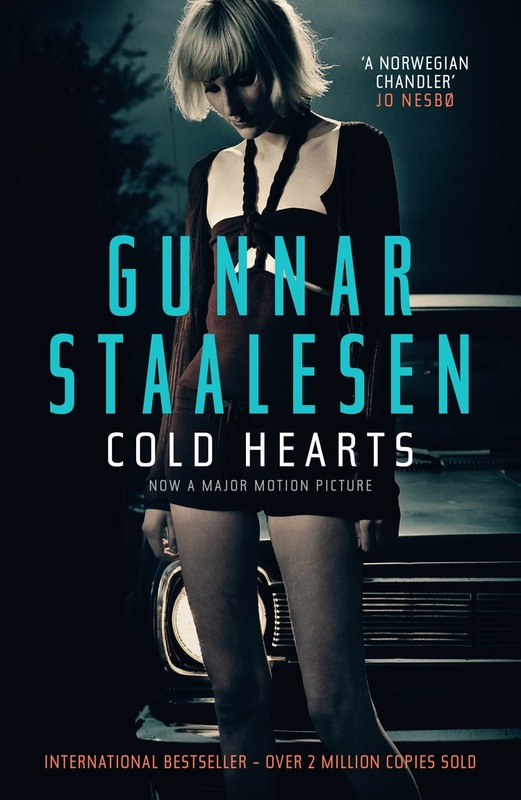 Gunnar Staalesen is one of the greatest Norwegian crime novellists of our time (and for those who are not into crime fiction as of now, I should mention that there's a fair bit of competition on that front). His series of novels featuring Varg Veum (16 novels, in addition to some short stories and a co-written work) is definitely the most notable part of this career, and of the 5 Veum novels translated into English Cold Hearts is the latest and certainly ranks up there with his best works. This is a gripping novel, and as with many Scandinavian thrillers mixes a noir approach with a gritty, edgy feel that feels very contemporary. Staalesen does not shy away from exploring the seedier parts of society, nor should he given the genre he's writing about. Veum is a character who is both the classic detective and the everyman, an interesting character who engages the readers, while others are also well fleshed out. The plot itself is intricate and very well crafted, a must for crime novels, though at times it does feel a little convenient that practically every major crime in the city begins to tie into the case Veum himself is pursuing. Staalesen also does well at describing the setting of Bergen, painting a detailed picture of each district and neighbourhood that Veum visits and where events transpire. It's a very personal depiction of the city, something Staalesen tends to do in most of his novels, and one that serves the novel and the readers well. On the whole, this is a crime thriller worth picking up. Don't worry if you haven't read other books in the series - it is easy to make out what's going on and the setting itself is a modern one that most of us in cities can engage with, particularly with Staalesen's descriptions of the neighbourhoods and key locations. And if you like it, you can definitely pick up some of the other novels in the series! All in all, an enjoyable read (er, if you enjoy serious crime novels).